CBS’s popular crime drama series The Mentalist is soon to be coming to an end, according to the network, who have announced that the upcoming seventh season of the show will be its last after a run that began in 2008. And in a more positive side to the idea of ‘ending sooner than expected’, CBS have also announced that the season, set to run for a total of 13 episodes (leaving the show on an end count of 151) will broadcast earlier than originally anticipated, with a premiere date of 30 November. This will see the series, for around a month until it is pushed into a Wednesday night timeslot, filling a temporary programming gap on CBS for Sunday evenings, keeping the space warm for 5 weeks in preparation for a return of The Good Wife on 4 January. 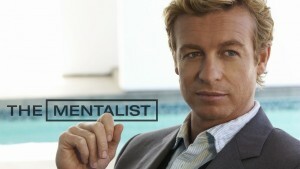 In its Wednesday slot, The Mentalist will run the remaining 12 episodes through to a special double-length, 2-hour season and show finale on 18 February, bringing an end to the story of “Patrick Jane” (Simon Baker), a former psychic working as a consultant to the semi-fictitious California Bureau of Investigation, and later the FBI, using his skills of observation to try and break down criminals. While producers had had hopes of taking the network elsewhere should CBS drop the format, the way they produce the final season of the show will go some way to determining how much they want the show to continue and how much other potential host networks should be interested, but if The Mentalist does end, will it do so on a high note ratings and quality-wise?